Neelam Gill is not a red carpet regular but she does make great fashion choices when she steps out. The model was on hand for the Tommy Hilfiger x Lewis Hamilton event at the Tommy Hilfiger Regent Street store this evening(July 10th) in London. 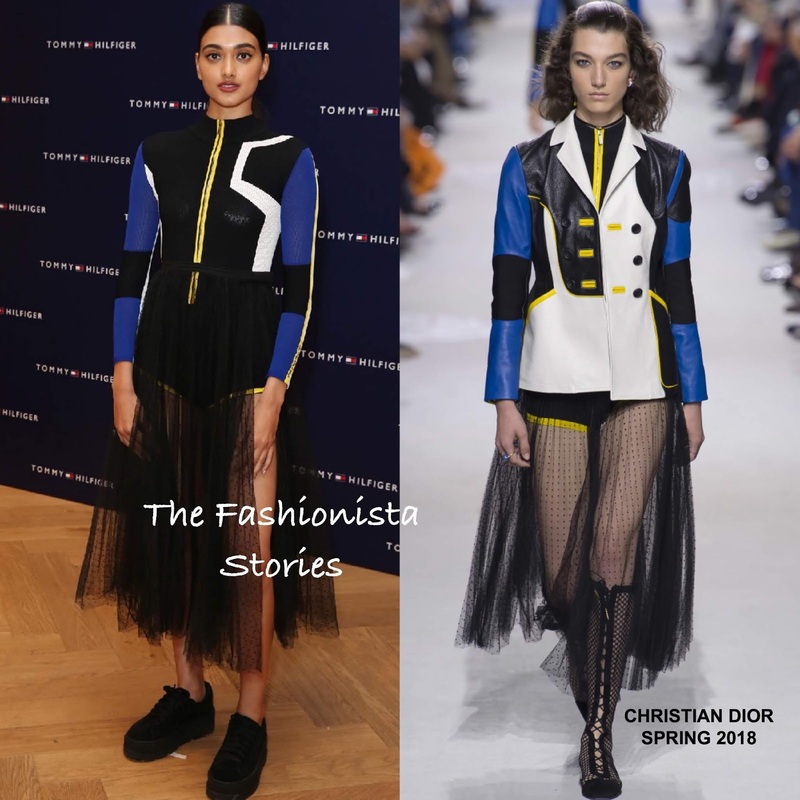 Since it was a TH event, you would have thought that she would wear a look from the designer, however Neelam opted for a CHRISTIAN DIOR SPRING 2018 ensemble. Her long sleeve color-block bodysuit and sheer dotted tulle skirt with a side split, was teamed with black platform sneakers. While people maybe over the sheer skirt look, especially the similar dresses from the fashion house, I thought her sporty look worked perfectly for the event. Are you feeling Neelam's look?